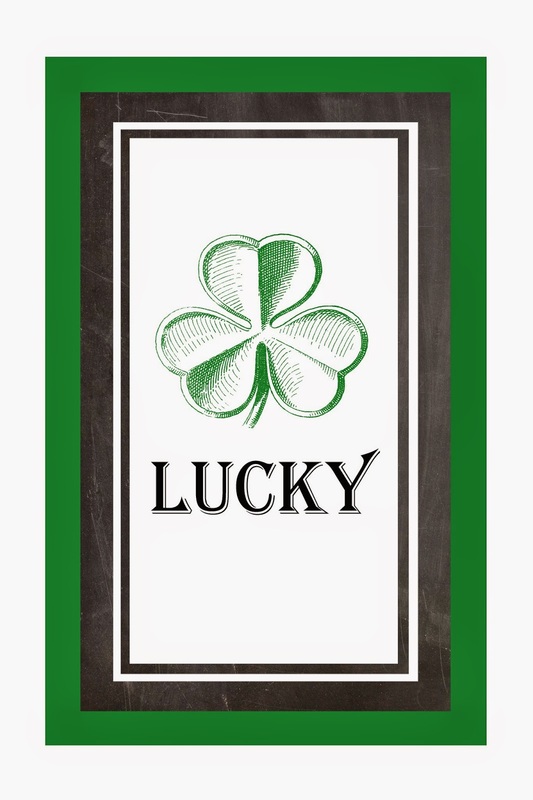 With Miss B's birthday at the beginning of March I never really get too crazy with the St. Patrick's Day décor. The idea of having all the green clash with whatever the party theme is for that year doesn't really work for me. Shocking, I'm sure. 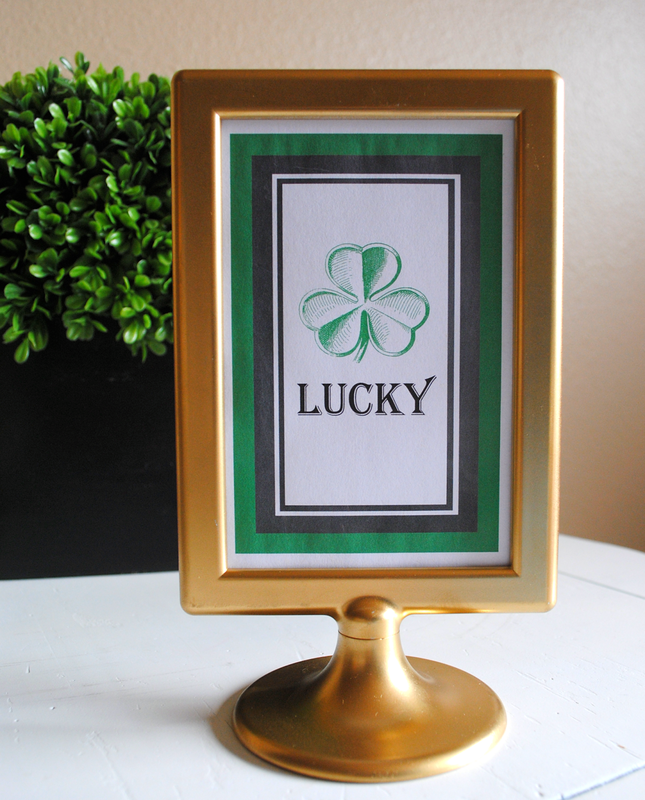 To fill my need to decorate and create for just about every holiday, I decided it was the perfect time to try my hand at a downloadable printable for all of you to use in your own St. Patty's decorating plans! Alright, enough chat, let's get to the goods! collect fees, or receive any form of remuneration; may not be used in advertising. Thank you! The file is formatted for a 4x6 frame, but after downloading you could easily print it at whatever size works best for you. If you do download this printable I'd LOVE to see how you used it!! Share your pics on Instagram and use the hashtag #lolligagsluckyprintable!